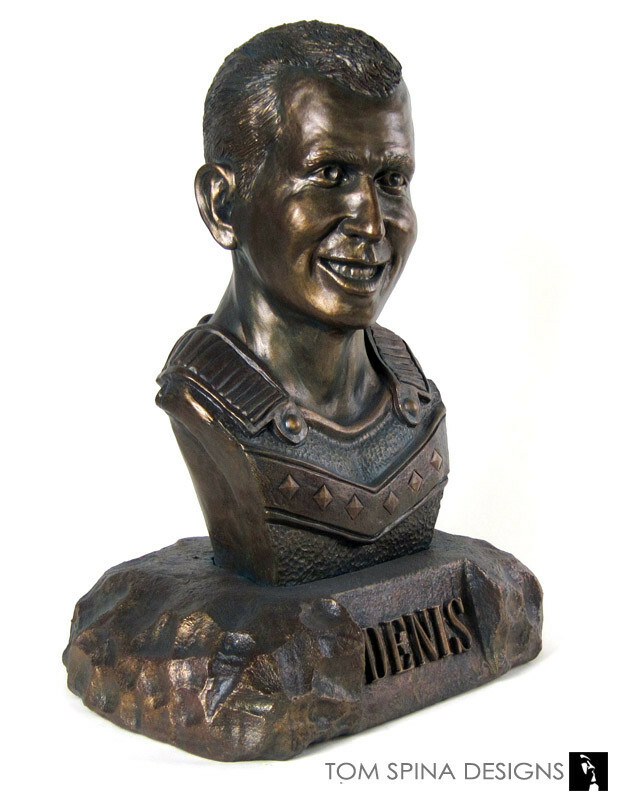 A roman bronze sculpture made as a tribute to a client’s brother. We created this roman bronze sculpture from photos. 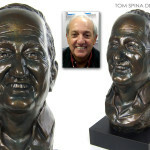 The life sized bronze statue was hand sculpted in clay by sculptor Tom Spina and then molded in a flexible silicone material. 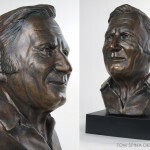 That allowed it to be cast in a fiberglass-like resin to create a realistic faux bronze bust that is an alternative to foundry work. 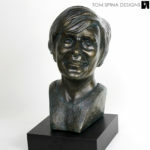 The tribute bust was sculpted to honor a client’s brother. We worked from photos and the bronze look statue features the subject wearing Roman inspired armor (which reflected a tattoo he had) and a carved foam rock style base bearing raised letters in his name. 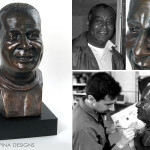 Using just photos, we created a custom, hand crafted one of a kind tribute. Work like this makes a great display for your home or office or a unique gift. Are you looking for a unique gift to honor a loved one or friend?